When drivers of 18-wheelers and semi-trucks behave irresponsibly or irrationally behind the wheel, the risk of a truck wreck goes up exponentially. Aggressive driving and road rage can take different forms, including reckless tailgating, rude gestures, excessive speed, frequent lane changes, and deliberate obstruction of traffic. 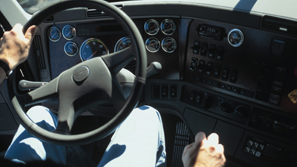 Road rage and aggressive driving accidents are common in the trucking industry because drivers often receive payment for each completed job, rather than the time they spend behind the wheel. Under this payment model, truck drivers are pushed to drive at excessive speeds and arrive at their destination quickly in order to move on to their next paying job. Under these economic pressures, drivers may cut corners and circumvent federal laws regulating the amount of time that truck drivers can spend behind the wheel each day. Some drivers abuse drugs in order to stay awake and meet their demanding schedules. The legal team at The Law Offices of Frank L. Branson has decades of experience successfully representing individuals who have suffered injuries in truck accidents caused by aggressive driving. These cases often require a quick and thorough response. Our attorneys take care to identify and preserve evidence, analyze and investigate the causes of the accident, and assemble an expert team of investigators, industry experts, and medical professionals to build a persuasive legal case. To learn more about our experience in aggressive truck driver matters, we invite you to contact the firm here.